Saving Rock'n'Roll is as daunting a task as there ever was but with the help of his friends Hunter SE Porter is up to the challenge. 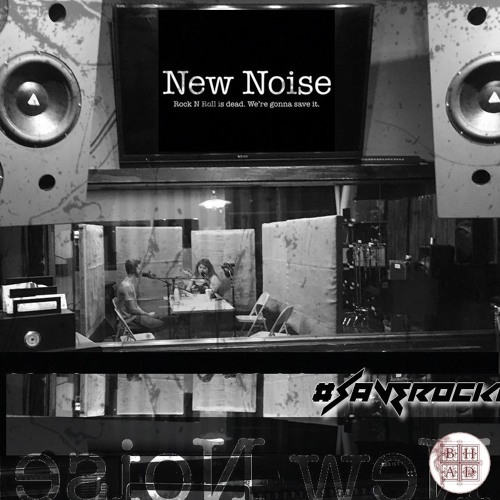 Both personally and professionally as well as fictionally in the New Noise Podcast, an audio drama podcast with one very focused mission in mind: SAVE ROCK'N'ROLL!! In Which the Incomparable Hunter SE Porter and I Discuss: Hunter's musical beginnings and influences Why a podcast? Does Rock and Roll NEED Saving? How Hunter defines his current sound and what influences it The company he keeps The amazing production of the podcast A behind the scenes look at the process An in-depth look at the cast Divorcing confidence from ego and learning how to recognize and depend on the talent of those around you What do we have to look forward to? The live show! Community engagement and future plans AND SO MUCH MORE! Talking to Hunter was an absolute TREAT and you can check him out on all the socials! Instagram: @wearenewnoise Patreon: patreaon.com/wearenewnoise Soundcloud: @wearenewnoise Spotify: open.spotify.com/show/5jiCgfSar7BiK0M95vNJKC iTunes: seach "New Noise Podcast" LEAVE A REVIEW! They are also on Stitcher! Hunter also has his own music which can be found on most places under HSEPorter, check out his latest release Zendog: https://soundcloud.com/hseporter/zen-dog or on Spotify. Thanks to https://bensound.com for additional tracks! Be sure to check out @bhadpodcast on soundcloud at https://soundcloud.com/bhadpodcast We also have a fantastic interview with New Noise collaborator Maxewell Hamilton here: https://soundcloud.com/bhadpodcast/bhad-presents-maxwell-hamilton New Noise and Friends are having a Live Show on Tuesday, Nov 20th at Three Clubs in LA. Donations from the concert will support the California Wildlife Fund. To Support the livestream they are asking for 100+ followers on Spotify. Support them by following DRFTRS on Spotify here: https://open.spotify.com/artist/7Biurxu5Eku0pOBev3Kauf Thanks for sticking around! Enjoy!